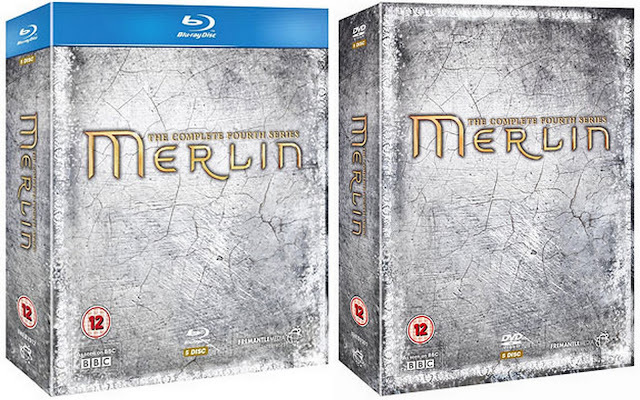 Our friends at Fremantle Home Entertainment have provided us with some copies of the upcoming Merlin Series 4 DVD to giveaway. The set is due for release on Blu ray and DVD for the 23 January 2012, but you can enter our competition and be one of the first to have you hands on this anticipated release. Which legendary actor provides the voice of The Great Dragon in Merlin? Email your name and answer to merlin@flicksnews.net before January 20th to be entered in the draw. Competition Now Closed, Winners will be emailed once draw takes place! The complete box set contains all 13 episodes of Series four plus exclusive extras.